Hands-On Learning! 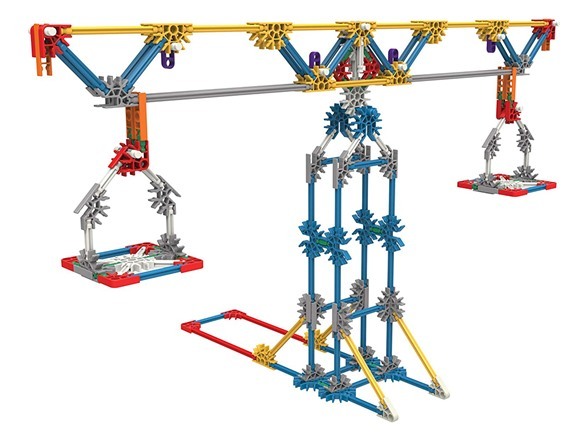 The K'NEX Education Simple and Compound Machines Building Set is designed to expand upon middle school students' (grades 5-9) knowledge of simple machines concepts. 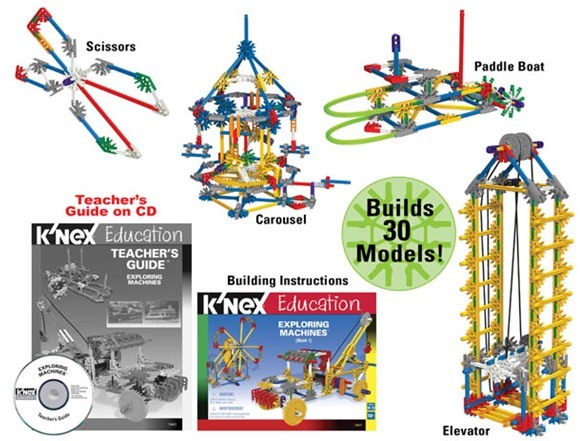 Students investigate, explore and experiment with the K'NEX simple machine models as they analyze, synthesize, and evaluate information. 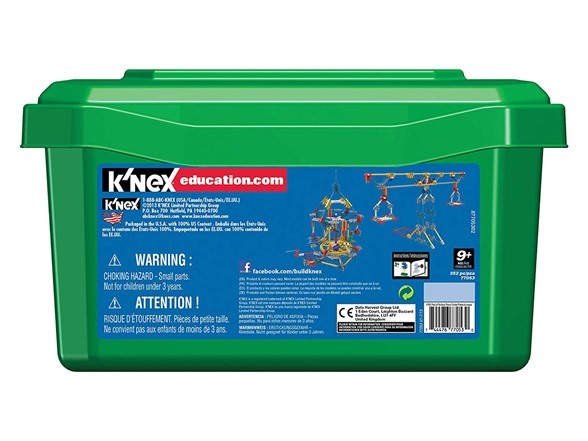 This K'NEX Education Set includes 352 K'NEX parts, building instructions, and a comprehensive Teacher's Guide, all packaged in a strong plastic tray with a snap-on lid for easy classroom storage. 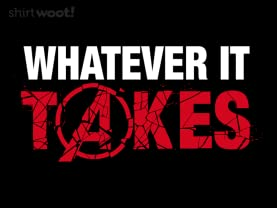 There's enough parts to build 16 fully-functioning replicas of real-world machines, one at a time! 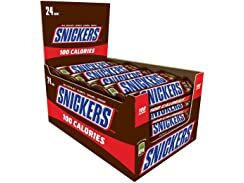 Supports 1-2 students. 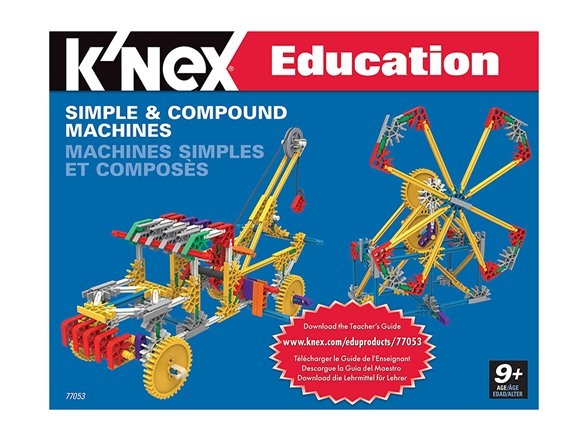 SIXTEEN BUILDING IDEAS – K’NEX Education Simple and Compound Machines Set consists of more than 350 durable plastic parts. These can be combined to construct sixteen different fully functioning replicas of real-world machines, one at a time. 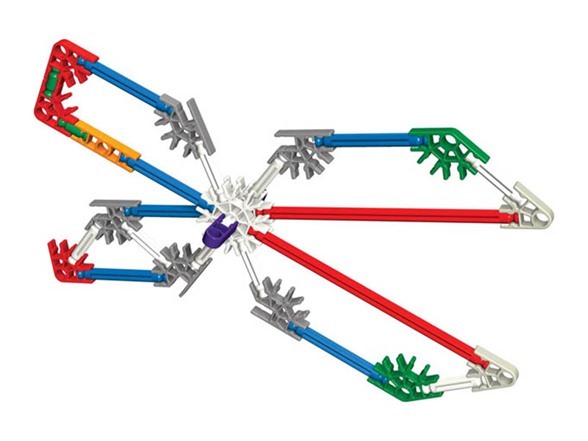 INTERACTIVE LEARNING – K’NEX Education allows students to enjoy hands-on learning. 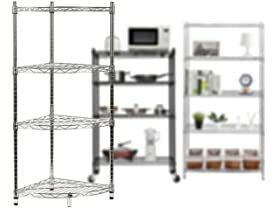 This set is designed to introduce students to scientific concepts as they create sixteen types of machines. With this fun and inquiry-based approach to the concepts, grade five to nine students can build, investigate, and evaluate scientific principles in action. PLAY AS A TEAM – Not only does K’NEX Education stimulate kids’ mind, it promotes social skills through teamwork and collaboration. 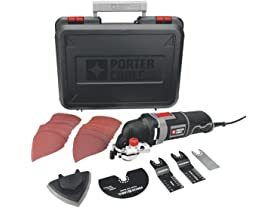 This building set makes a great learning tool for students, as it can be used by one person or by two working as a team. 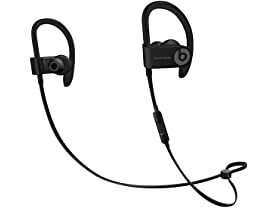 Building instructions and a comprehensive teacher’s guide aligned to science, technology, engineering, and math standards are included. 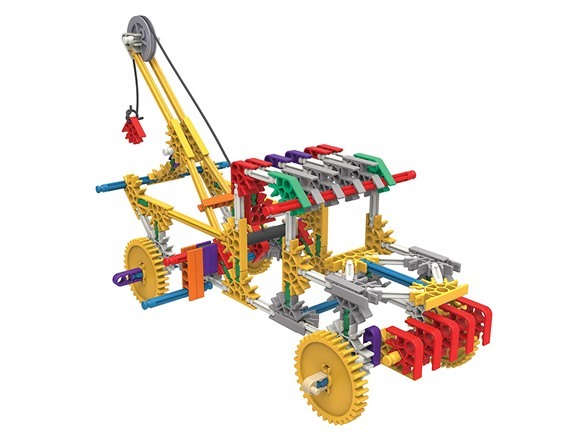 This engineering education toy is recommended for children ages nine and above. 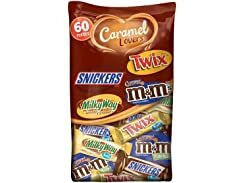 CONVENIENT STORAGE BIN – Enjoy a quick and hassle-free cleanup after playtime. 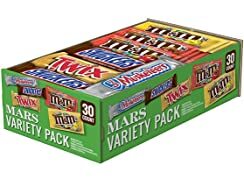 This building set comes with a handy reusable bin for convenient transport and storage. 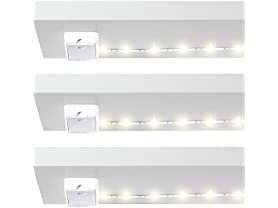 This teaches builders to keep their playing areas tidy and organized. 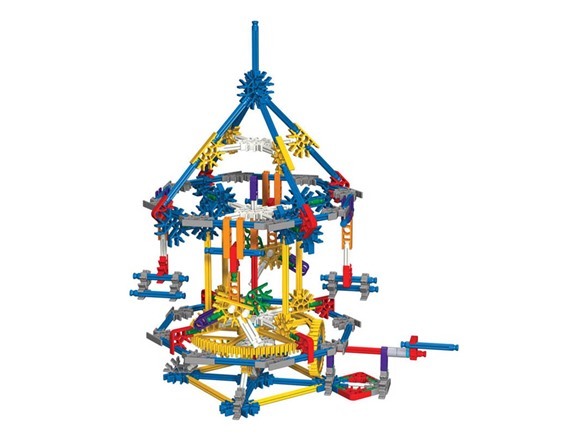 STEAMagination – It’s the connection of STEAM (science, technology, engineering, arts & math) with a child’s natural curiosity and creativity and it powers the fun of each and every K’NEX building set. Building with K’NEX puts children on a path towards a fundamental understanding of STEAM/STEM subjects. 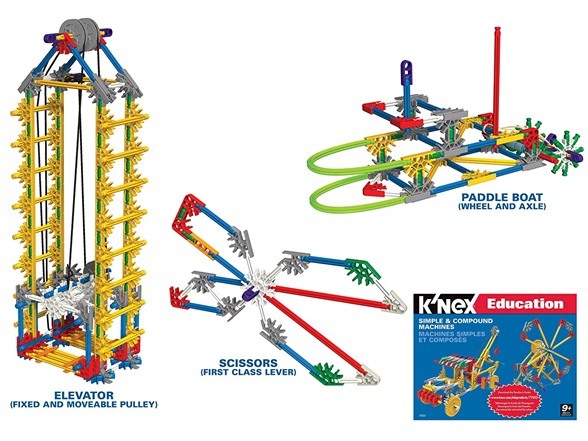 Investigate simple machines through hands-on learning with the K'NEX Education Exploring Machines set! 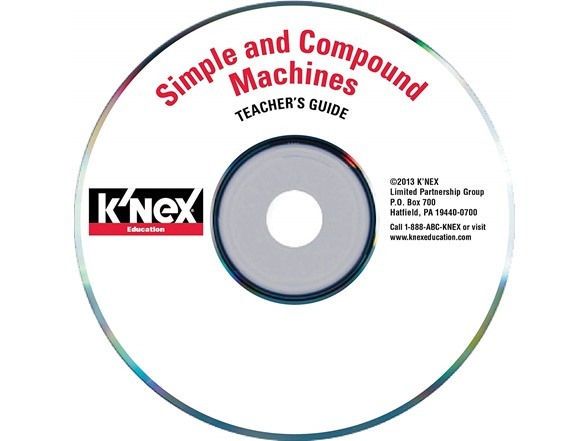 Designed to expand upon a middle school student's knowledge of simple machine concepts, this set provides instructional models for students in 5th through 9th grade to investigate, explore and experiment with. 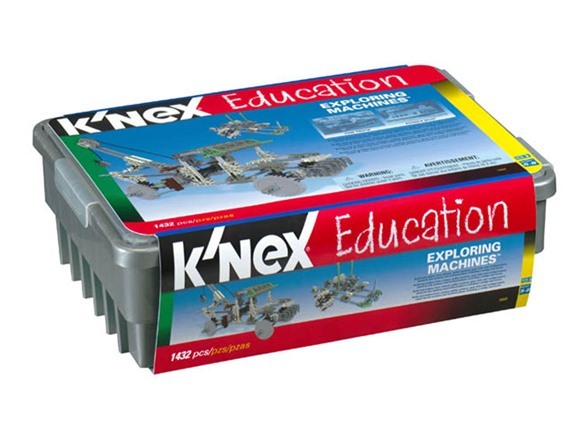 This K'NEX Education Set includes 1,432 K'NEX parts, building instructions, and a comprehensive Teacher's Guide CD, all packaged in a strong plastic tray with a snap-on lid for easy classroom storage. There's enough parts to build 30 fully-functioning replicas of real world machines up to four at a time, and it supports 8-12 students working in teams. 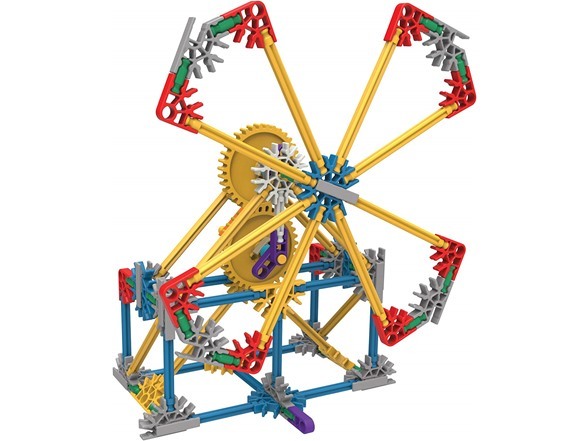 WITH 1,432 ASSORTED PIECES – The K’NEX Education Exploring Machine Set includes 1,432 assorted colorful classic pieces made with premium-quality construction. 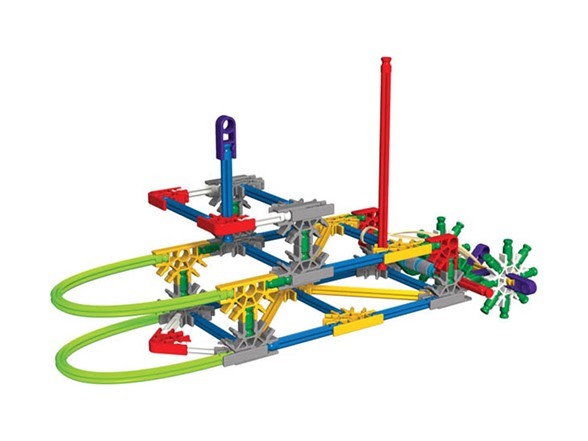 The package includes K’NEX rods and connectors for students to create working replicas of real-world machines. 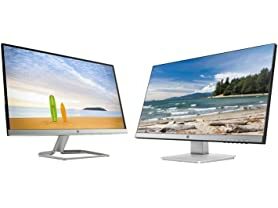 Up to four amazing models can be created at a time. 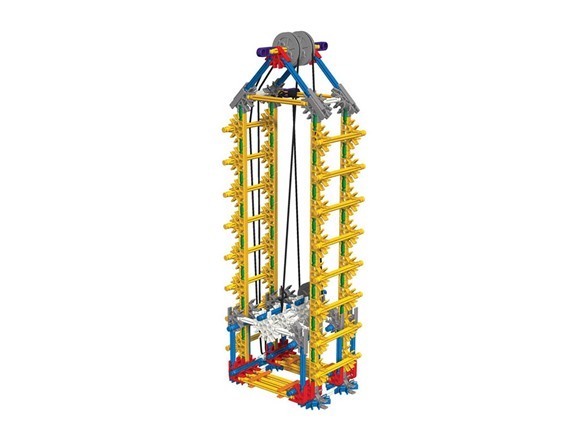 ENDLESS BUILDING POSSIBILITIES – Build 30 fully functioning replicas of real-world machines with the Exploring Machine Set by K’NEX Education. 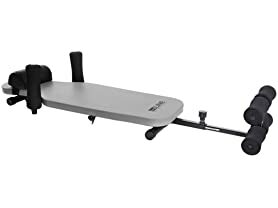 This set allows eight to twelve students working in teams to create their own versions of levers, gears, pulleys, wheel and axle combinations, inclined planes, and more! 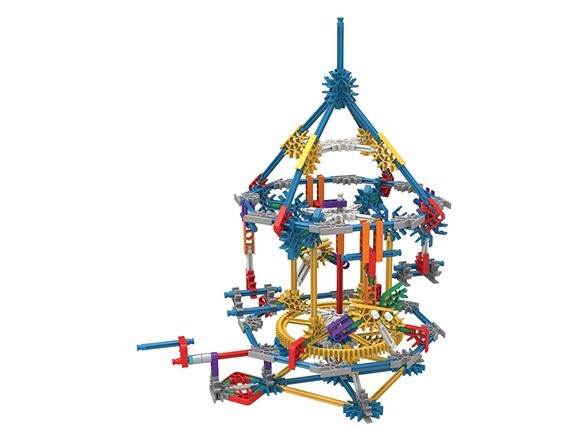 INCLUDES INSTRUCTION SHEETS – K'NEX Education Exploring Machine Set comes with an instruction manual to guide children through their building adventures. The sheet comes with construction ideas and tips for students so they can create structures on their own. 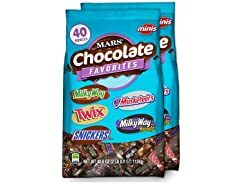 Parents can also use the manual to guide their children through the process. 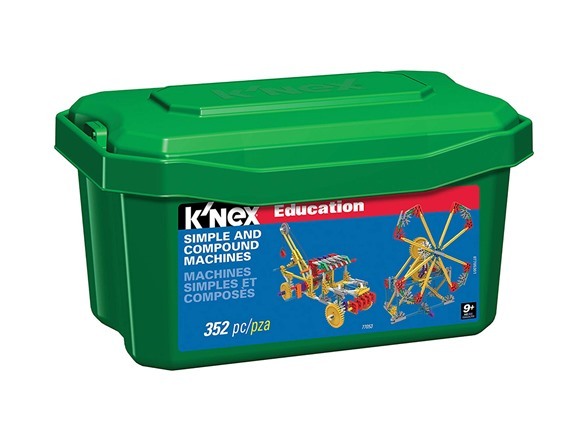 CONVENIENT STORAGE BIN – Clean everything up as you go with the K’NEX Education® Exploring Machine Set. This building set comes in a strong plastic tray with snap-on lids to hold the K’NEX parts and pieces for easy classroom storage. This is a great way to teach your children to be responsible with their toys at an early age.